The Acilius larvae of the previous entry repay closer inspection. Two species of Lesser Diving Beetle are found in the UK, Acilius sulcatus and the scarcer Acilius canaliculatus. 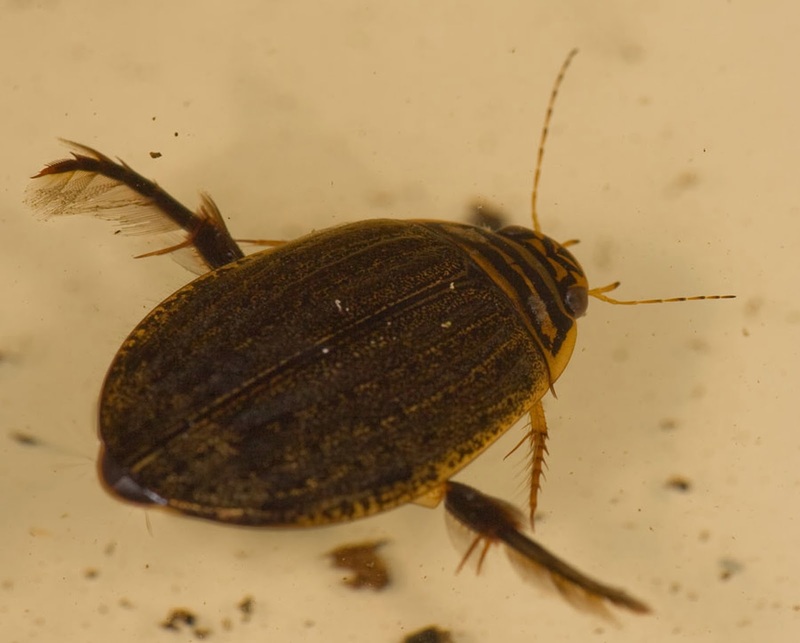 The “Lesser” is the curse of sharing the same ponds with Great diving Beetles, Dytiscus species, but the Acilius have their own strangeness and charm, less of the brute force of the Dytiscus larvae or clockwork toy look of adult Great Diving Beetles. Adult Acilius resemble submarine almonds in shape and size. They are apparently the fastest swimming of the diving beetles. 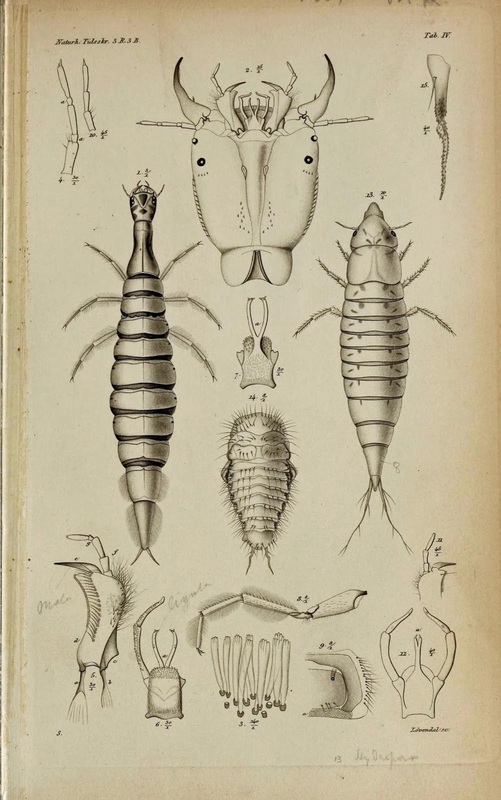 However it is the larvae that are most startling. They are nektonic, meaning they live out in the open water column. Legs fringed richly with fine hairs make powerful paddles, but they often hang, stationary, waiting for prey to come in reach. Whilst they will take a variety of invertebrates they are particularly effective predators of water fleas, perhaps voracious enough to skew the distribution of these prey throughout a pond and also ferociously efficient hunters of mosquito larvae. Juvenile mosquitoes have to come to the surface occasional to replenish oxygen supplies, relying on a snorkel-like siphon to break though the water’s surface to the air above. Swimming to the surface, or even static but silhouetted against the light above makes them vulnerable to specialist hunters. Whilst Dytiscus larvae routinely capture large prey such as tadpoles (or each other) the Acilius’ delicate, elongated thorax and small head make for an altogether more refined but equally deadly hunter. 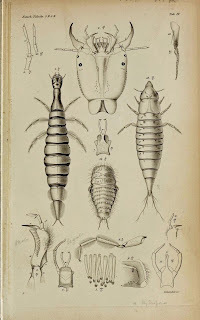 (Adult photo from Old Billuck and larvae from Biodiversity Heritage Library, Creative commons, Flickr).